It has been more than 20 years since Lonestar released “Amazed,” and landed in the No. 1 position on country music charts for 16 consecutive weeks. Since then, Richie McDonald left the group to work on a few solo projects . Richie has returned to the band, and is part of the new album “Life As We Know It,” which released on June 4. I don’t think anyone can hear the name Lonestar without remembering their hit song “Amazed.” And, while that song definitely brought them the most success, it was not their only number one hit. “Smile,” ”Come Cryin’ to Me,” “No News, ” “What About Now,” “Tell Her,” “I’m Already there,” “My Front Porch Looking In,” and “Mr. Mom” all took their turn at the top spot. 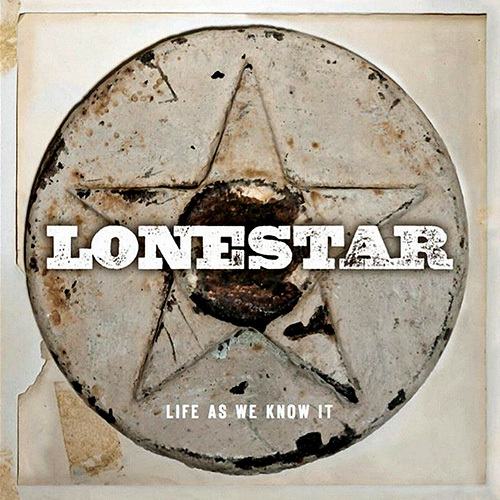 Back to its original four members, with Richie McDonald, Dean Sams, Keech Rainwater and Michael Britt, have put together this new album that showcase Lonestar’s talent, both as a band and as songwriters. The band wrote all but three songs on this album, that gives us The Countdown, Maybe Someday, How Can She Be Everywhere, Pretty Good Day, With My Eyes Open, Party All Day, Life as We Know It, If It Wasn’t for You, I Miss When, I Did it for the Girl, Just the Rain, and Oh Yeah. I wasn’t really impressed with the title track, “Life As We Know It,” and I can’t imagine that one doing very well if released as a single. “Countdown,” the first song on the album, is a good song, and I’m not surprised they put that in the lead-off position. I only had to listen to the album once to pick a favorite song. For me, “Just the Rain” was the one I wanted to hear again and again. It reminds me of Lonestar 20 years ago. Those of us who were fans then will remain fans, as long as the group keeps putting out this kind of music. It’s a slow, emotional song, well sung, and allows the band to showcase the harmony they’ve always been known for. As much as I like “Just the Rain,” I’m not sure that one will do well as a single. But there are some that will. I think a great single for this group would be “How Can She Be Everywhere.” Radio might also enjoy sharing songs like “If It Wasn’t For You” and “I Miss When,” with listeners. “Pretty Good Day” is another one that I would imagine people will call and request if it is released as a single. It is an uptempo, feel good song. The whole album is good, and I think the ballads are the best. “I Miss When,” “Just Rain” and “Maybe Someday” are great songs. But, in today’s Top 40 country market, if those ballads were released to radio, I’m not sure they would get the air time some of the faster songs would. 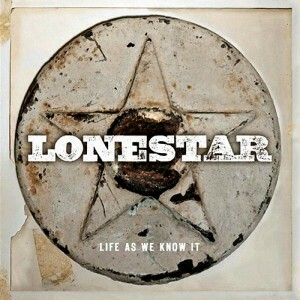 Keep up with Lonestar by visiting their website, www.lonestarnow.com. Follow them on Twitter @lonestarband. To find out everything going on in country music, visit www.countryschatter.com, and follow us on Twitter @countryschatter. My buddy, Brian McNeal, and I, have been friends since the mid 70’s. Besides being friends, we have one other thing in common….. a love affair with that 60’s Bakersfield country music sound. Brian played all those Buck and Merle songs when he was a disc jockey for KNIX in Phoenix, which was owned by Buck Owens. My band “Cactus County,” and I were playing country music (yeah, LOTS of Buck and Merle! ), for dance hall crowds in every honky-tonk and road house in the southwest, with Phoenix being home base. That sound of Buck and Don Rich singing together, Bonnie Owens (Buck’s ex-wife) vocalizing on all of Merle Haggard’s hit records, and that famous chicken-pickin’ Telecaster guitar playing of Don, James Burton and Roy Nichols will forever be a special part of country music history that we’ll always love. So, now, when anything reminds us of that era, we’re all in and checkin’ it out! 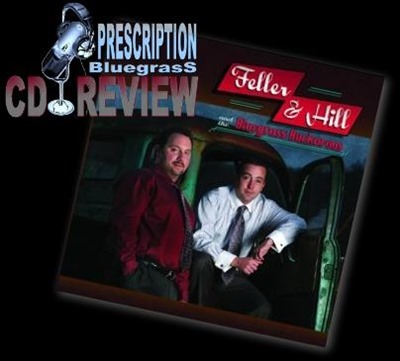 A few months back, Brian sent me some songs to listen to by “Feller and Hill and the Bluegrass Buckaroos.” We both couldn’t believe how much Tom Feller and Chris Hill sounded like Buck and Don singing together! We were pretty excited to see just how this musical adventure was going to turn out, as the CD wasn’t finished and ready for release. The completed project came last week, and it was all we had hoped it would be. To quote Brian, “Feller and Hill do the third best version of TOGETHER AGAIN ever recorded!”and I whole-heartedly agree. The original version by Buck Owens will always be #1.…. Emmylou Harris OWNS the #2 spot….. and, time will only tell for sure, but, in my humble opinion (AND Brian’s) Feller and Hill have made their version so personalized and passionate as to forever nail down that #3 slot. When you think of all the many artists who have recorded TOGETHER AGAIN, that’s a BIG deal! To re-do a song that defined a specific sound and musical era, and do it in such a way that it makes the song relevant to another generation of listeners, that is the epitome of successful communication skills. Just so there’s no confusion, this CD is straight ahead bluegrass. Tom and Chris have spent years as sidemen for some of the best bluegrass bands around, and their credentials are exceptional. On this release, Tom plays acoustic and Pedal Steel guitars, mandolin and upright bass. Chris plays all the banjo tracks, and plays any style called for. Earl Scruggs would be proud of Chris’ proficiency in his style, especially with his use of Earl’s patented “Scruggs tuners.” Don Reno and Ralph Stanley’s styles are also in Chris’ arsenal. But what sets this CD apart from those of so many other bluegrass bands, is the way these two talented gentlemen sing together. The two of them have that cohesive magic that not every duo have, and they have taken all their vocal and studio/technical strengths and added layers of vocals to the entire CD to make it a total pleasure to hear. The very first song on this musical trip kicks off with a bang. The old Delmore Brother’s standard, “Gonna Lay Down My Old Guitar,” leaps out of the speakers, complete with two part harmony, a Lester Flatt “G-run” guitar lick and Chris’ 5-string banjo just a cookin’! This song will make you smile, because it’s alive, traditional and as authentic as it gets. Especially notable on this tune is the lead guitar solo of Brian Blaylock. It just plain sizzles! Though singer Jessica Molaskey receives top billing on this CD, her presence is unnecessary except on “Who’s on First?,” which requires two singers, and “Excuse Me for Living,” which must be sung by a woman. Dave Frishberg generously included her at this engagement, as he featured Rebecca Kilgore at other sessions. The CD belongs to him: he either wrote or collaborated on all the songs, sings on most of them, and plays piano on all of them. or spouse: she drinks to excess, is cheap, overstays her welcome, and so forth. Yet the concluding words are ambiguous. In expressing sadness that the gauche one must leave, does the male imply deep love, or is he ironic? I find Frishberg’s sentimental lyrics far less effective than the witty ones. They include “Do You Miss New York?,” a paean to the Apple, and “Listen Here,” a self-help lyric Frishberg wrote for Mary Tyler Moore. These ballads aspire to deep meaning but do not attain it. 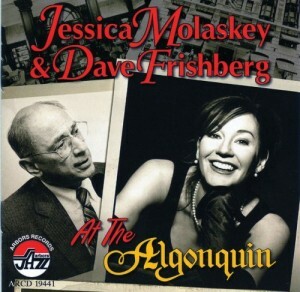 Applause and laughter indicate that Frishberg and Molaskey delighted the Algonquin audience, though never more than on “My New Celebrity Is You.” The crowd erupts when Molaskey identifies Pizzarelli as a celebrity friend. She is married to the guitarist and singer John Pizzarelli who, with numerous friends, surely was responsible for the huzzah. One need not understand all the allusions on this or the other songs, though, to enjoy At the Algonquin. Great country music doesn’t only come out of Nashville. If you stop and look around, you just might find some of the best country music within an hour drive from home. Here in Northeast Tennessee, we didn’t have to go very far to find James Meadows. He recently released his second album, “Keepin’ It Real.” I first met James at the Washington County Fair, but never had the opportunity to see him perform until I caught one of his shows in Bristol, a few months ago. 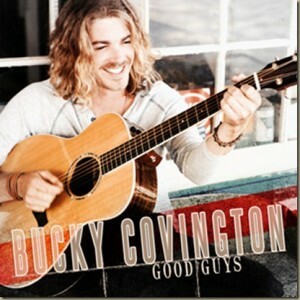 The Abingdon, Va., resident is an ASCAP affiliated singer/songwriter and Nashville recording artist. While James was in college, he was involved with the ETSU Bluegrass, Old Time, and Country Music program. He played in many bands, featuring top notch talent from all over the world. He also played in many different band combinations, performing both bluegrass and country. This very talented local artist brings great country music to Northeast Tennessee and Southwest Virginia with live shows just about every weekend. While his shows are often acoustic performances, he also works with his full band, The Country Mile Drifters. James is a fun performer. He has a lot of energy, and knows how to work with his audience, making it impossible for anyone not to have a good time. His live shows offer a variety of music from many different genres. When you see James on on stage, you can expect to hear Classic Country, New Top 40 Country, a little Southern Rock and Bluegrass, and some of his original music as well. Oh his album, “Keepin’ It Real,” however, James does just that. He keeps his songs ‘real’ country. His voice is very versatile, and he uses his talent to create a unique sound on every song he sings. Many times when listening to a new song on the radio, you might find yourself trying to figure out exactly who the artist sounds like. There isn’t any comparison with James. James Meadows sounds like James Meadows. He is who he is, and there is no attempt at wanting to sound like anyone else. He doesn’t need to. After you hear him sing for the first time, you will remember where that voice is coming from when the next James Meadows song is played. The songs you’ll get on this album are Like A Radio, Somebody Up There Likes Me, I Get to, Forever and Ever Amen, All I Ever Wanted, Knock Knock, They Walk On Your Heart, Keepin’ It Real, Feelin’ Good, Sad Songs Make Me Smile, and People Need People. There is something for everyone on this CD. “All I Ever Wanted” is for the romantics; “They Walk on Your Heart” will touch every parent; “I Get To” will make each of us think about what is really important in our life; “People Need People” pretty much tells us what we already know, about getting through every day with someone close by to help us; and “Somebody Up There Likes Me” wins the prize for the ‘catchy melody, sing-along with this one’ song out of the 11 on the new CD. The first single release from the new album, “Like A Radio,” made the Music Row Charts and charted in the Top 80 in February, with the help of the promotional team from ATP Records in Nashville. James is currently gearing up to release another single from this album and he is songwriting again in preparation for another album that will be in the works over the next few months. James has shows scheduled for Davinci’s in Abingdon, Va.; Louie’s in Glade Spring, Va.; The Country Club and State Line Bar and Grill, both located in Bristol; and Sportsman Marina in Abingdon. 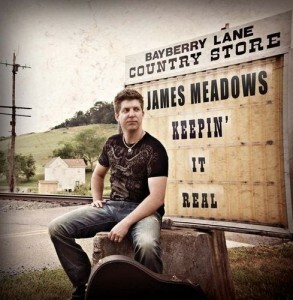 You can find out more about James, check all of his show dates, and listen to his music at jamesmeadows.net. Visit countryschatter.com to keep up with everything going on in the world of country music, visit our Facebook page at www.facebook.com/countryschatter, and follow us on Twitter @countryschatter.